What is a Freelance Virtual Assistant? Want to be a Freelance Virtual Assitant Working from Home? If you have been interested in doing freelance jobs online you may think your skills are perfect to be a freelance virtual assistant. Many companies and online business and even big names on social media use freelance virtual assistants to help them manage their online presence. When it concerns online jobs a freelance virtual assistant is basically a self-employed individual that provides administrative support to clients from being personal assistants to data entry, translation. The clients seeking virtual assistants may want a once off online job done for them or if you are good at what you do you could land long time positions. A freelance virtual assistant can do online secretarial duties, such as writing up documents, emails or letters and memos. They could be used to contact clients or other businesses for the client and many other jobs which can be done online. Some clients use online assistants to manage their entire businesses or as a personal assistant to arrange their daily calendars and appointments. What Makes a Great Freelance virtual assistant? If you want to land long-term contracts with clients there are a few basic attributes to a becoming great freelance virtual assistant. Most importantly are having accurate grammatical skills, a polite attitude, good work ethic and keeping to deadlines. You must be properly organized too especially if you have o more than one client you are dealing with so a good idea is to be knowledgeable in XCEL or diary keeping. If you are managing files for clients proper organizational skills are vital because no client will hire a freelance virtual assistant unless they are efficient and extremely organized. Considering you are doing online jobs another important aspect that is essential especially for a freelance virtual assistant is being tech savvy because this is you’re your virtual clients will need and expect. On the internet, you will need to understand instructions and not have too many issues or questions to get the work done efficiently. If you are a freelance virtual assistant you will gain experience as you do more and more online jobs for clients and eventually you will be able to build your unique selling point to clients telling them why you are the better choice to do their work over other virtual assistants. Freelance virtual assistants must have good communication skills, be smart for negotiating rates, stick to deadlines, and complete any client project plans or tasks. The benefits of making money from home as a freelance virtual assistant are numerous the most important ones are setting your own hours, earning as much as you want to by taking on more work, and not having to commute. Anyone can learn how to become a freelance virtual assistant starting today…. Previous: Previous post: What You Should Know About Your Home Business! 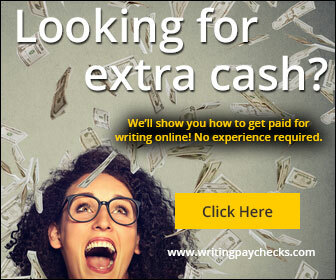 Next: Next post: How to Make a Great Income Doing Paid Writing Jobs Online!